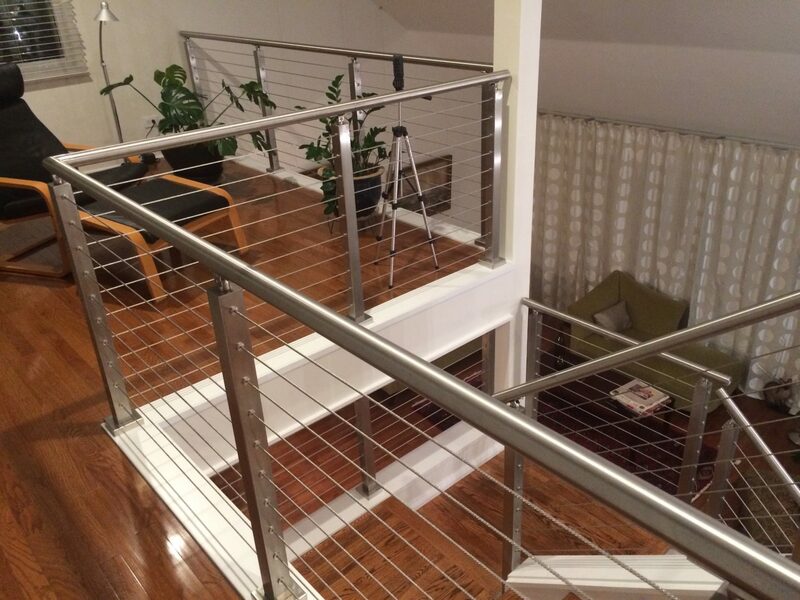 You’ve put in the time and effort to find that perfect cable railing system, and you love the way it looks. As you put the finishing touches on your project, don’t overlook the chance to complete your system in style. One of the most important ways to protect and preserve your new cable railing system is by installing quality handrail. As an important element in a strong cable railing system, handrail has many practical benefits. It guarantees your safety as you walk up and down your staircase. It protects guests on your deck or patio. And it ensures compliance with ADA requirements. But handrail also has aesthetic value. It makes a statement about your style by adding architectural lines and visual interest. No matter your design preference, there’s a handrail that matches your style perfectly. Looking for a handrail to match your system? Browse our wide selection of handrail for cable railing! One of the main purposes of handrail is to keep you and your loved ones safe. That’s exactly what our durable 1” x 2” Metal Handrail does in this beautiful exterior project. It’s made from the highest quality stainless steel, which means that it holds up wonderfully in the outdoors. But it’s not just the durability that keeps us staring. What really catches our eye about this project is that pop of color. Our customer used a green powder coat to accent this metal handrail for stairs, making it fit perfectly to his unique style. Between its strength and sleek color, this handrail makes a powerful design statement. And because it’s available in so many materials and finishes, it’s easy to customize to your system. 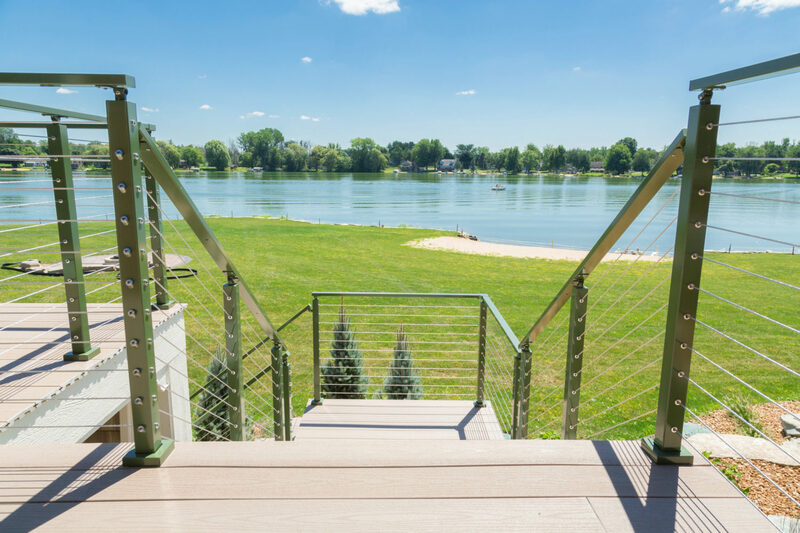 Viewrail Cable Railing is an elegant way to expand your view -- and the 1” x 2” Metal Handrail is the perfect complement to your cable railing design. A handrail needs to steady your step. But it should also make a statement. 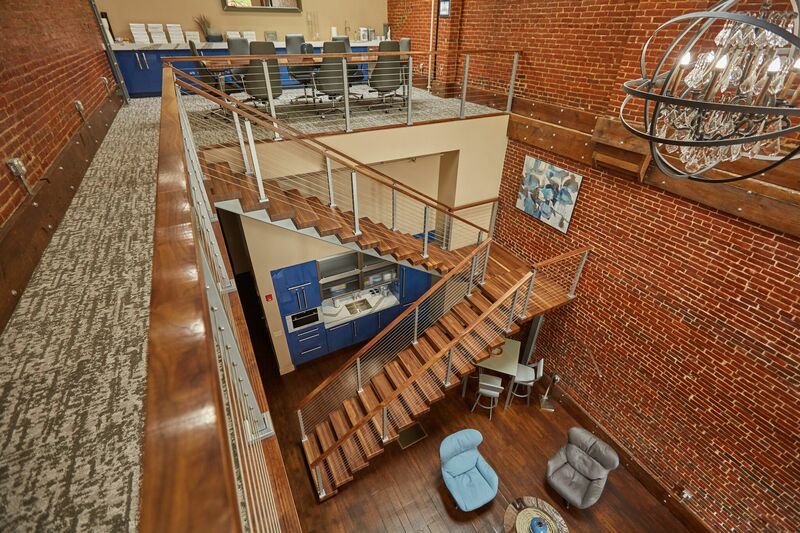 And this project-- with an elegant floating staircase, brick walls, and hefty landing platforms-- required a handrail that could rise to the occasion and hold its own. Our 6000 “Mission Style Handrail” was up to the challenge. Between the industrial brickwork, powder-coated stringer, and thick walnut treads, there’s a lot going on in this space. The simplicity and strength of the 6000 Handrail ties the room together. 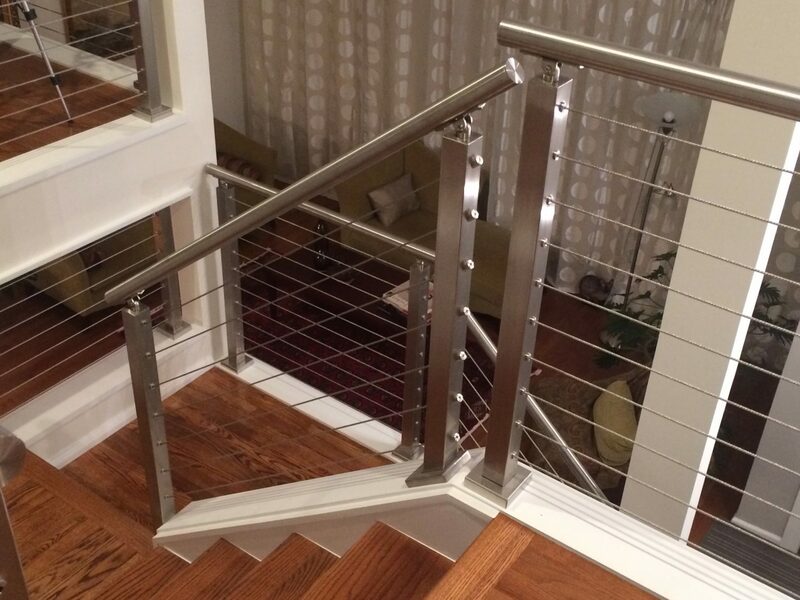 Next to this premium cable railing system, the straight lines of the handrail are clean, yet dynamic. Customizing the 6000 handrail to your room can be easily done. This particular handrail was ordered in walnut with a clear-coat finish -- the perfect finishing touch to this regal space. Minimal and elegant, the “Mission Style” handrail provides a whole new standard of handrail excellence. Participate in the latest contemporary trend with sleek Round Stainless Steel Handrail. Straight lines keep the system looking modern, while the rounded railing gives it a welcoming feel. 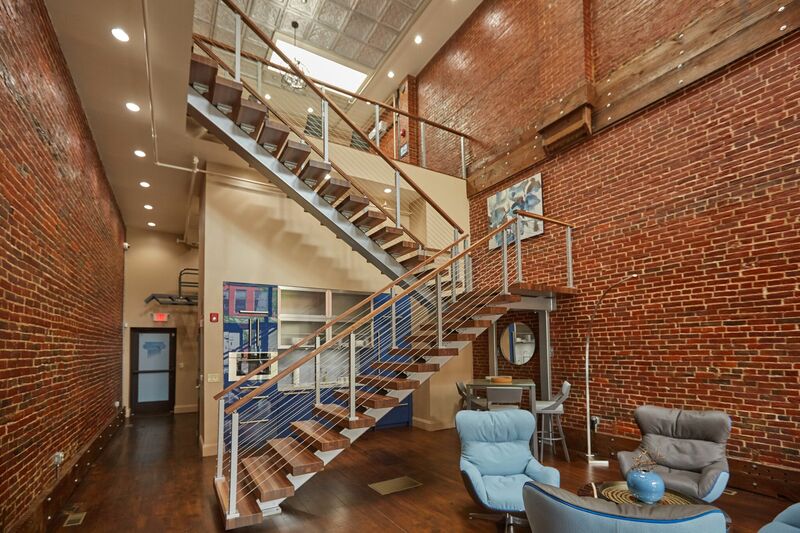 It’s a great option for industrial, modern, and contemporary interiors. 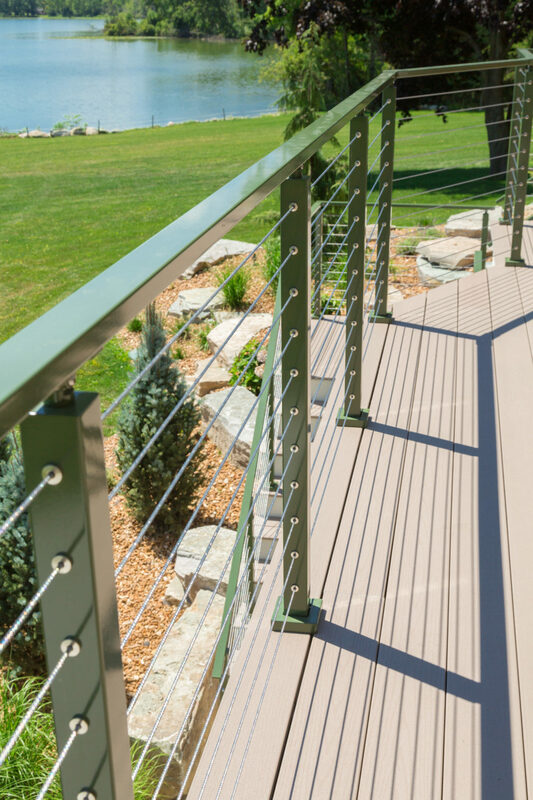 The smooth curves complement the shape of the cable railing to create a cohesive, striking design. It comes with rounded brackets that cradle the handrail, which ensure a great fit and make round handrail great for guard rail or grab rail applications. 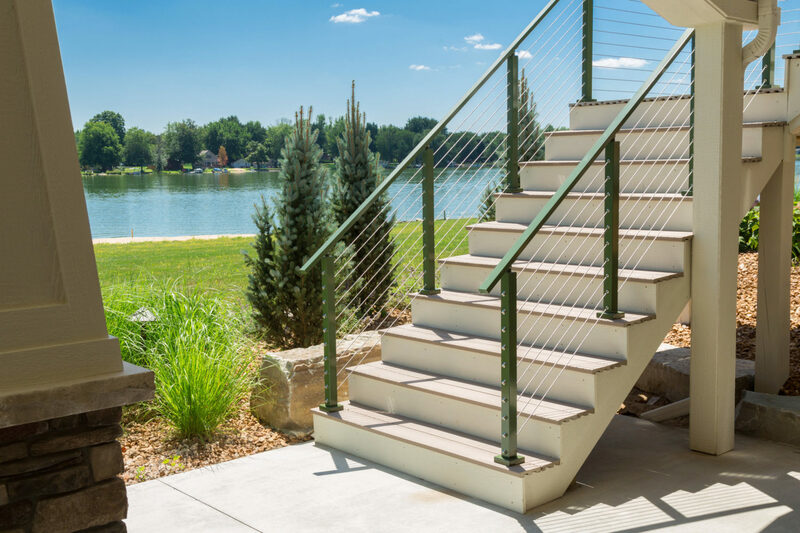 Regardless of where you are in your cable railing journey, our premium handrails have the strength, safety, and style you need to complete your project. Talk to our experts today about picking the right handrail for your project. Check out our handrail brackets, end plugs, covers, screws, and fittings to complete the look. 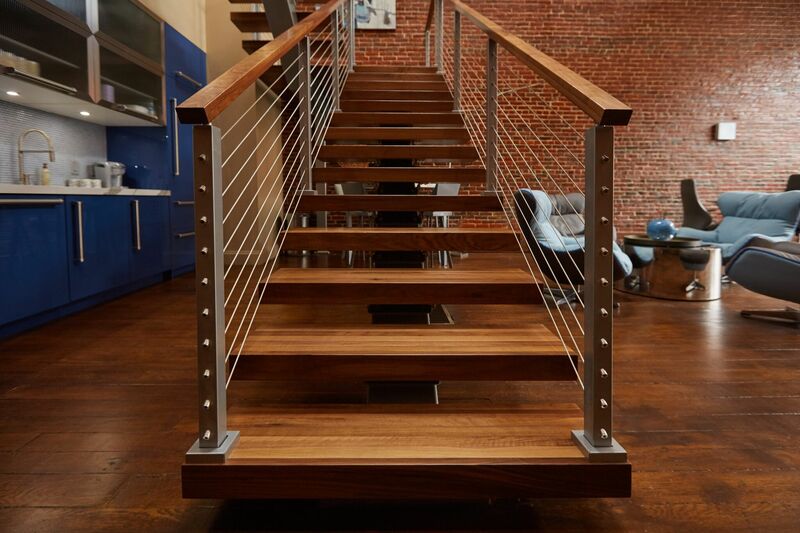 When it comes to superb design, there is nothing better than a StairSupplies custom solution.